Prince Harry and Meghan Markle are set to marry on May 26, 2018, The Sun can reveal. The date falls on a Saturday in a break from tradition - and will kick off the Spring Bank Holiday weekend. 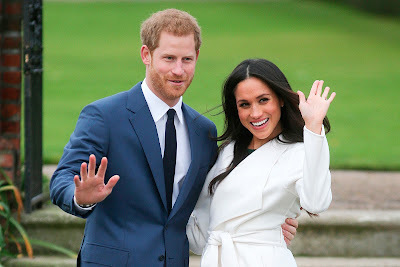 It was announced this week that Harry, 33, will marry US actress Meghan, 36, at Windsor Castle in May. Royal weddings are traditionally held on a weekday but the couple were keen to avoid clashing with other events that month. Big congrats to them.